It's the holiday season again, which means you're probably starting to think about gift ideas for your loved ones (A.K.A. Target Happy Gamer). If you're scratching your head wondering what to get for an enthusiastic video gamer in your family, have no fear! Your awesome friends from TekBotic, have compiled a list of the top games available for the PS4 and Xbox One! P.S. : Most of these games are not suitable for young children. Dishonored 2 brings more action and expands on many of the gameplay elements introduced in the first game. The beautifully rendered environments and seemingly endless ways to approach a kill/mission will keep players deeply invested in the single player campaign for a long time. While the depth of the main story is not so different from the original Dishonored game, the multitude of side missions adds depth to the game. The AI is also very crafty so it keeps you on your toes at all times. They will often attack you suddenly, without any warning, which makes your counter-attack kills feel so much more rewarding. The only major downside to Dishonored 2 is that it is a completely Single-Player game, so you won't be able to take your skills online and compete. Conclusion: If the "Target Happy Gamer" loves a game with action, awesome artwork, and a good story line, pick this game for them. For those of you who bought the original Titanfall and felt like it just didn't quite do enough for you, Titanfall 2 will change your feelings about the franchise. Very rarely do we see a total upgrade of a game; where the developers add to every aspect to the original. With Titanfall 2, we do. Respawn Entertainment has introduced a new dynamic campaign that, while being very linear, explores the Titanfall world that we all wished they had in the original. Like Dishonored 2, the rendering adds realism to the chaotic, fast-paced action that is at the very core of Titanfall gameplay. Of course, Titanfall will be ultimately judged based off its Multiplayer and; with the addition of 6 new mechs, 8 new multiplayer game modes, new pilot classes, and an insane amount of customization options...it hits the mark. Conclusion: If "Target Happy Gamer" is a previous Titanfall and mech fan, Titanfall 2 is your best bet! Battlefield is obviously a well known FPS franchise, but they took a different direction from their normal formula with the newest installment in the franchise. In years past, Battlefield has lived in the shadows of the massively successful Call of Duty franchise. The new Call of Duty's major selling point is that it comes with the remastered Call of Duty: Modern Warfare from a few years ago. While this was a wildly popular game in its day, the new Battlefield surpasses it in so many ways. First, the old knock on the Battlefield games was the lack of a coherent single player campaign, this has been remedied. 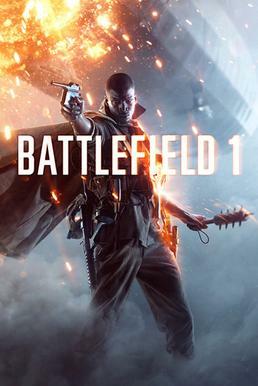 The new single player campaign, while short, gives players a chance to get acclimated with the weapons of WW1 and the sheer destructive nature of the conflict. It does a great job paying homage to the different people who risked and lost their lives in the first world war. Obviously, like Titanfall, Battlefield 1's real claim to fame is the multiplayer setting. With several new game modes, including the expansive Operations game-type, Battlefield 1's multiplayer immerses you in WW1. Operations play out like a game of Galactic Conquest from Star Wars: Battlefront. It makes the battle feel like it is being played out on a massive scale. Of course, the WW1 themed warfare does limit the customization of weapons, but to counter that, EA has added a vast arsenal of authentic WW1 weapons/vehicles. The vehicles that have been a huge part of the Battlefield franchise have become even more crucial to winning battles. They are at the core of squad tactics in Battlefield 1 and add even more to the beautifully explosive nature of the game. Conclusion : Definitely buy for the "Target Happy Gamer" if he or she loves warfare and tactical games. There is no perfect gift but if you aren't sure what to get, do some research and maybe snoop around on what your someone likes. But if it were me, I'll pair an awesome video game with a new controller for the special someone.